With an Introduction by John S. Whitley, University of Sussex. After Sherlock Holmes' apparently fatal encounter with the sinister Professor Moriarty at the Reichenbach Falls, the great detective reappears, to the delight of the faithful Dr Watson in The Adventures of the Empty House. The stories are illustrated by Sidney Paget, the finest of illustrators, from which our images of Sherlock Holmes and his world derive. 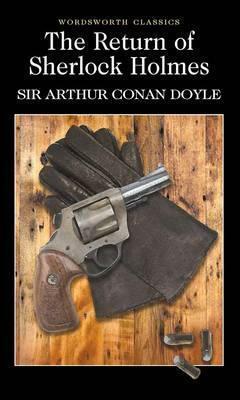 This is the second of three volumes of The Complete Sherlock Holmes newly typeset from the original copies of The Strand Magazine The three books present all the Holmes stories in order of first publication.